I applied ink on top of the pencil sketch. I think he (or she) is starting to look nice and squidy. 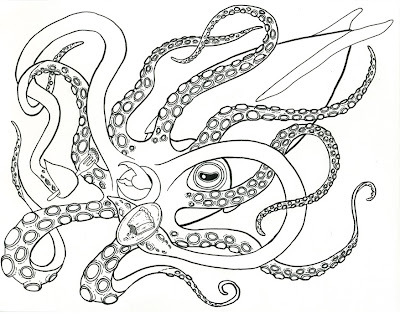 I changed the eye to more of an octopus eye (what can I say, I liked it better). Also, I modified the beak so it isn't as cartoony - more sharp and menacing.